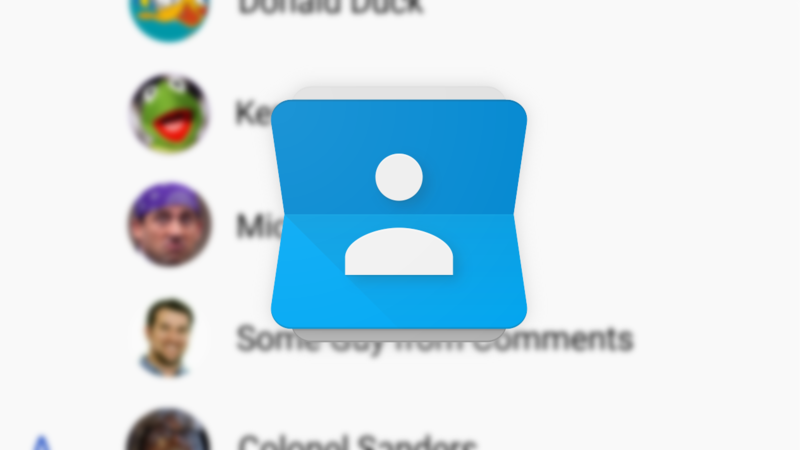 One of the most basic and convenient features of life in Google's ecosystem is contacts sync. From email to phone numbers and Google+ profiles, you know that whatever platform you are on, you'll be able to reach out to the people you need to with a minimum of fuss. But for some this essential feature isn't working correctly, and contacts aren't being successfully synced to their Oreo-powered Android devices. Reports are varied. Most of those affected seem to be using the new Pixel 2 phones, though there are accounts of the problem from those using other Google devices such as the OG Pixels, Nexus 5X and 6P. Most of the reports we've seen indicate that the problem is exclusive to Android Oreo 8.0 and 8.1. Many claim they are only experiencing the issue after the recent update to 8.1, but rolling back to 8.0 does not appear to fix it. The relevant thread on Google's Product Forums has accumulated over 110 posts in the two days that it's been up, and has already received a comment from Google Community Manager Orrin. There have also been widespread reports of the problem on reddit, Google+, and XDA Forums. Some have claimed that the issue is fixed for them by clearing app data for Contacts Storage on Android (Settings -> Apps -> 3-dot menu -> Show system apps -> Contacts Storage), but others have experienced no change. Based on the details provided in various reports, the problem appears to be tied to additional information attached to specific contacts, like profile links, relationship, website, and other information. For some removing that data has fixed the sync problem. None of us are experiencing this particular problem here at AP. But, in any event, it appears that Google is on the case.